Estes Park Ice Skating is a great way to enjoy the brisk winter air, pristine peaks, and snowy pines while having fun with family and friends. 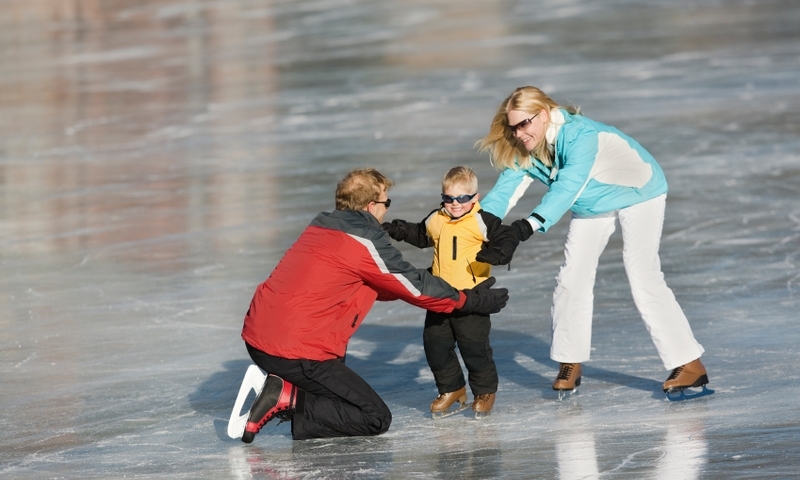 Where can I find and enjoy nearby Ice Skating? Ice Skate on Dorsey Pond at the YMCA of the Rockies, near the Beaver Meadows Entrance of Rocky Mountain National Park, just outside of Estes Park. Location: Go west on US 36. Turn left on CO-66/US 36. Turn right to enter the YMCA. Season/Hours: Depending on weather, the lake is typically iced over November-February/March, and open for skating Sunday-Thursday 8am-4:30pm, Friday-Saturday 8am-9pm. Cost: Day pass is $20/adult, $10/child 6-12, free/child 5 and under. Pass includes rentals. Services: The YMCA has a year round indoor swimming pool and snowshoe tours.